This is one of the easiest and shortest walks with an exceptional view. 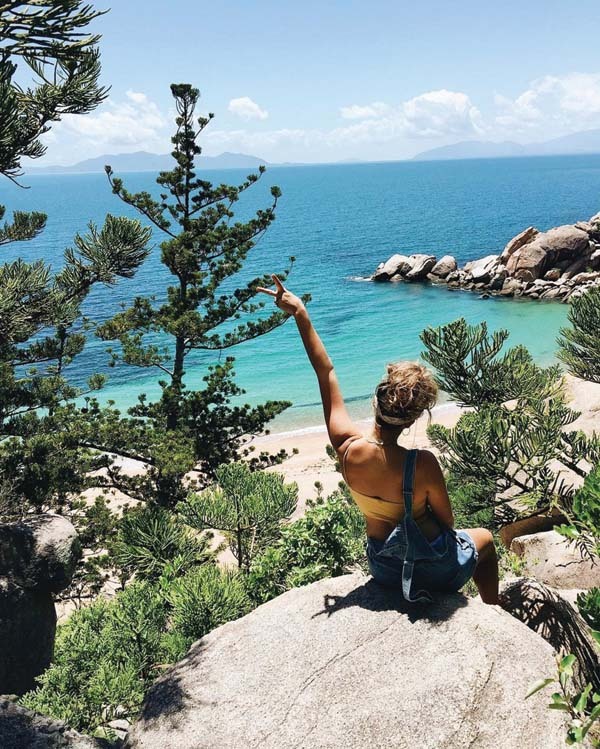 From Picnic Bay, a track winds to the top of a large boulder, affording a spectacular panorama over the island past Rocky Bay to Nelly and Geoffrey Bays and back towards Townsville. 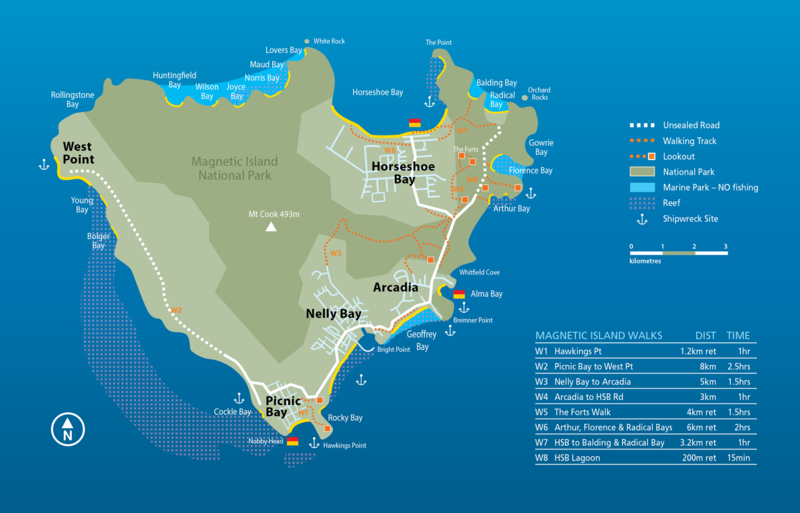 This walk follows a bush track that links the bays on the western side of the island. The track passes a tidal wetland, mangroves, paperbark swamps and savanna grasslands. The flora and fauna are totally different in this area to the eastern side of the Island, making the journey particularly rewarding. Continuing along Mandalay Ave, Nelly Bay, this walk passes through a cool patch of rainforest alongside Gustav Creek, then climbs gradually to the saddle between Nelly and Horseshoe Bays. The track follows a ridge with views over Horseshoe Bay before it branches, with one track leading on to Horseshoe Bay, and the other down to Arcadia past the Sphinx lookout. Opened in 2011, this walking track replaces the old walkway adjacent to the main road. The track begins at the end of Endeavour Rd, winding uphill to the saddle between Nelly and Horseshoe Bay, passing through native grasses, delicate wildflowers and an impressive stand of grass trees that are not seen anywhere else in our walking track network. Continuing on past the Sphinx lookout the track veers off to the right at the ‘Forts junction’ following the ridge line before descending down to the Radical Bay and Forts walk car park. From the turn-off to Radical Bay, this track ascends, sometimes steeply, to follow a ridge behind the bays before arriving at the ruins of the Forts complex operated during World War II. 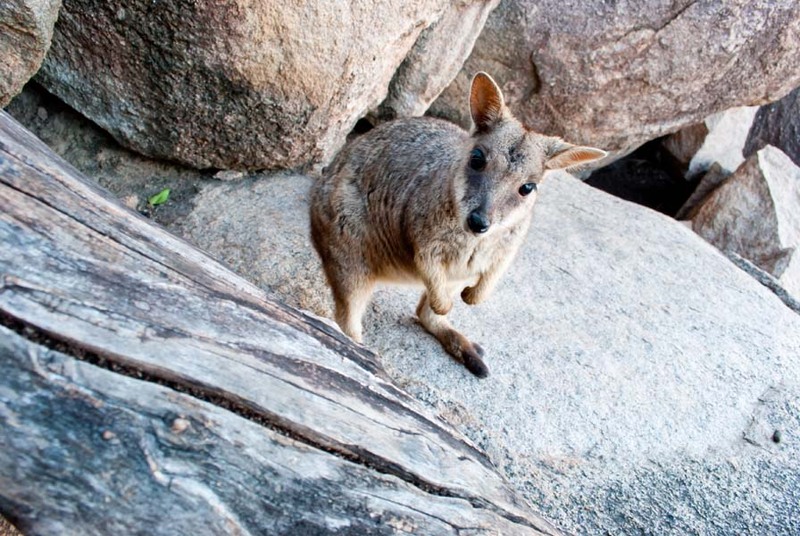 Lookouts afford excellent views to the Palm Island Group in the north and Bowling Green Bay National Park in the south. 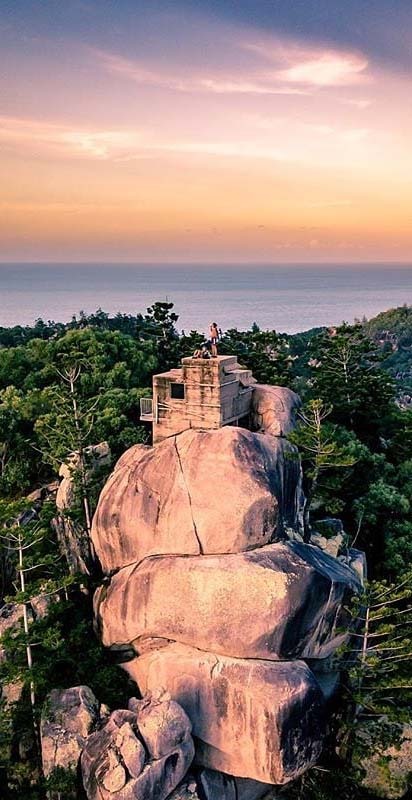 Magnetic Island’s WWII forts are listed on the Queensland Heritage Register and are among the best examples of such forts on Queensland’s east coast. This walk is also famous for spotting Koalas in their natural environment as it is home to the largest free-roaming colony in the world. 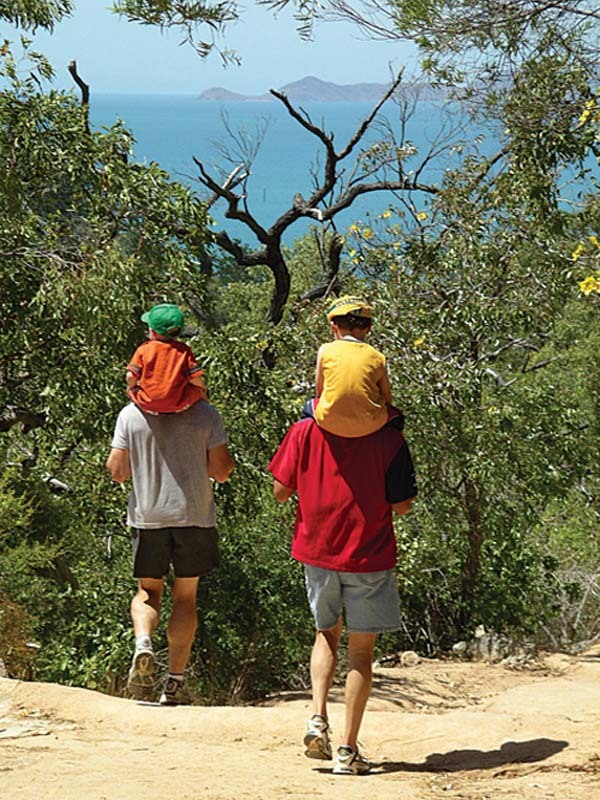 From the eastern end of Horseshoe Bay beach, the track climbs through a steep gully of closed forest to a ridge with open eucalypt woodland. One branch of the track leads down to the secluded Balding Bay and the other continues on to Radical Bay. Both bays offer excellent swimming opportunities. An unsealed road leads back from Radical Bay to the main road past Arthur & Florence Bays. Leading off the main road near Horseshoe Bay beach, a short track leads to the lagoon where a number of waterbirds can be seen over the wetlands. Walkers can continue on past the lagoon along the back of Horseshoe Bay beach through to the end of Swenson St.
* Florence, Radical & Balding Bays are zoned Marine Park. No fishing or collecting permitted.